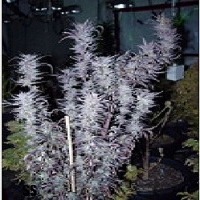 Violeta is a sativa/indica hybrid that matures with intense purple and reddish colors. 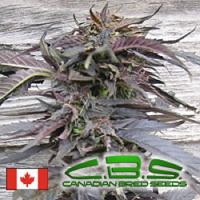 Violeta Feminized Cannabis Seeds by Ace Seeds: Violeta is a sativa/indica hybrid that matures with intense purple and reddish colors. 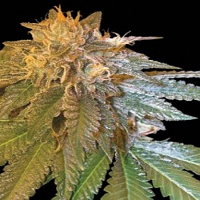 It's the result of crossing 2 purple strains: the mother is the Purple Malawi, a very special expression of purple African sativa that was pollinated by the best and more colourful Pakistan Chitral Kush indica parental plants. Violeta will conquer you, not only for her beauty and amazing colors. Her unique balsamic/fruity aroma and balanced effect makes her a favourite choice for all kind of growers and gardens. 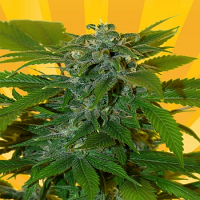 Strong, robust and compact, with good branching, interesting balsamic aroma, with a background of forest fruits air freshener, Kind and well balanced sativa/indica effect. Outdoors, it is also a very adaptable plant that has been successfully grown in warm or cold climates, maturing correctly until latitude 47.